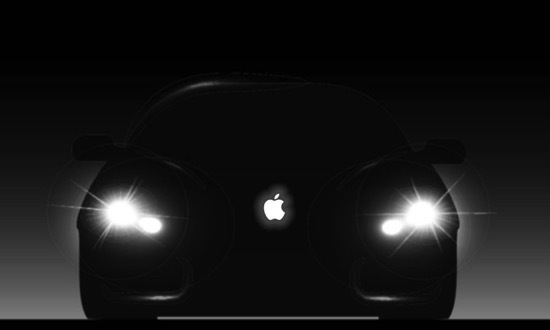 Earlier this year, a report alleged that Apple has leased a 22,100 square-foot suite at a Kanata office complex due to Ottawa’s presence in the automotive software sector, as the company plans to use the space to build the widely rumoured electric car. Today, in his very first article for Bloomberg, prolific Apple leaker Mark Gurman is reporting that Apple has hired the former head of BlackBerry’s automotive software division, as it plans to develop self-driving technology. Citing people familiar with Apple’s plans, Gurman notes that Dan Dodge, the founder and former CEO of QNX, the operating system developer that BlackBerry acquired in 2010, joined the Cupertino company earlier this year, and is currently part of a team headed by Bob Mansfield. The report further claims that the initiative is now prioritizing the “development of an autonomous driving system”, though Apple is not abandoning efforts to design its own vehicle leaving options open for the company should it eventually decide to acquire a car maker. Mansfield answers directly to Cook, unlike his predecessor Steve Zadesky, who reported to hardware chief Dan Riccio, who in turn reported to Cook. Mansfield’s division comprises three pillars led by Apple veterans: a software team under John Wright; a sensors group headed by Benjamin Lyon; and a unit of hardware engineers led by D.J. Novotney. Dodge, who is part of Wright’s group, co-founded QNX in 1980 as a student at the University of Waterloo in Canada. The company was sold to Harman International Industries Inc. in 2004 and subsequently acquired by BlackBerry in 2010. QNX developed BlackBerry’s latest proprietary mobile operating system, which it still uses in some of its smartphones. QNX currently makes entertainment, navigation and connected-device systems used by Volkswagen AG, Daimler AG, Ford Motor Co. and others.